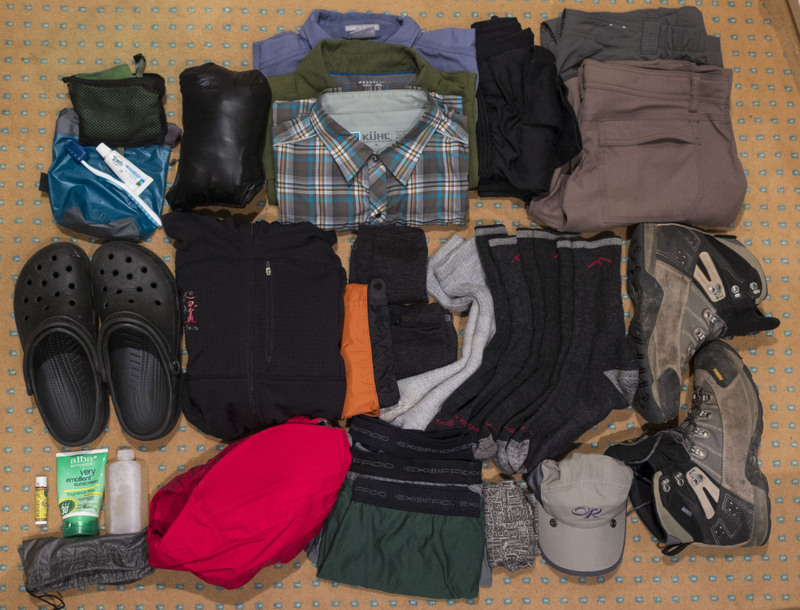 Pic­tures of all of the gear I had with me when I start­ed trav­el­ling (Exclud­ing 2 wet­suits). 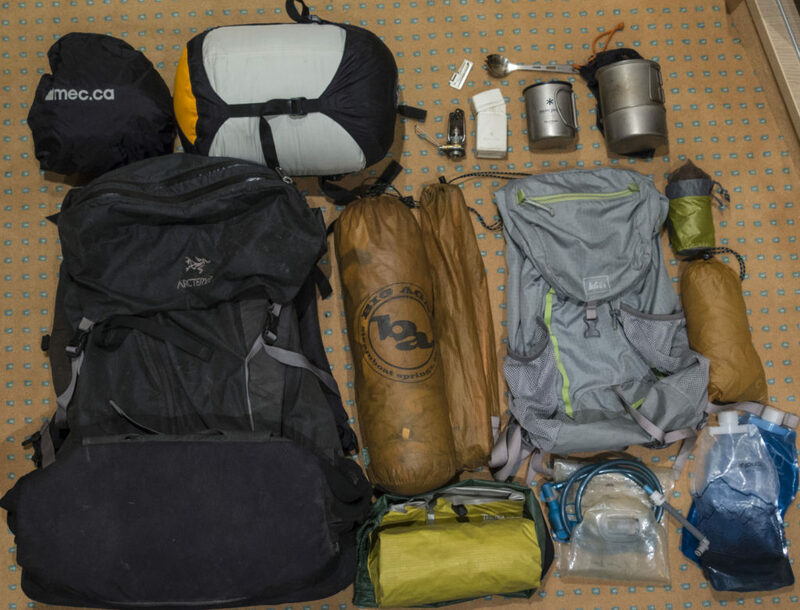 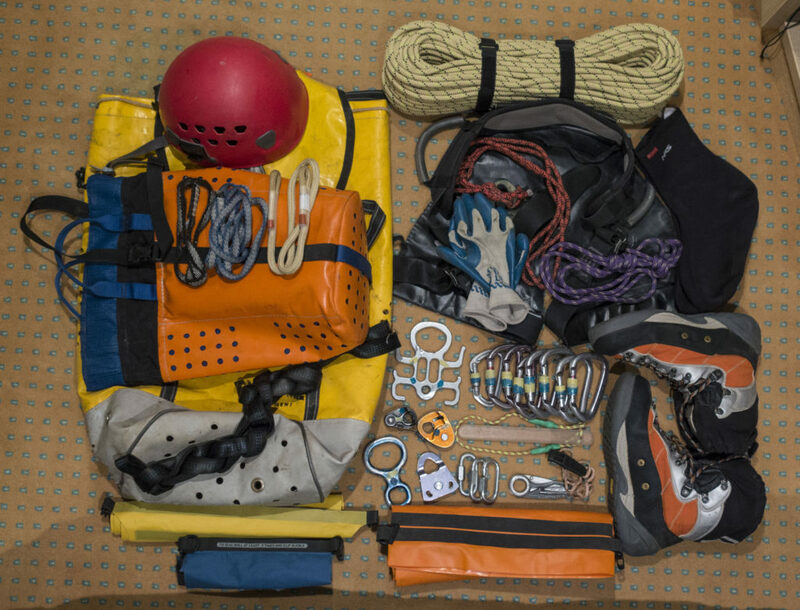 I have now left all of the canyon­ing gear in North­ern Spain after a month of descend­ing canyons in Sier­ra de Guara (North­ern Spain) the Span­ish and French Pyre­nees and one canyon in the French Alps. 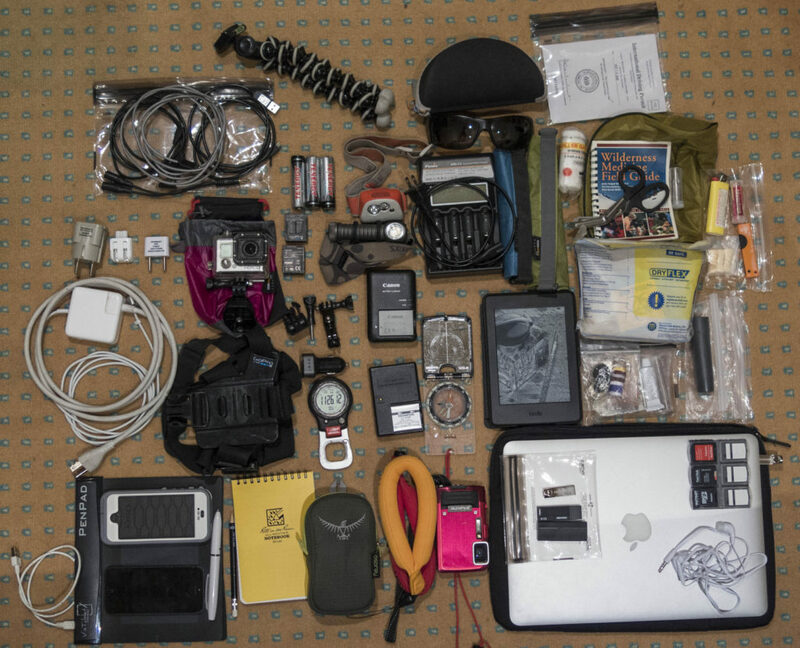 Elec­tron­ics and oth­er mis­cel­la­neous gear.